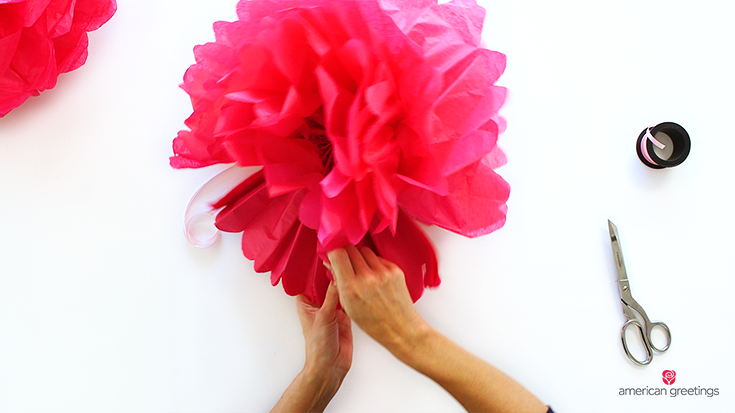 Tissue paper pom-poms are a fun and easy way to decorate for any occasion. The bonus? 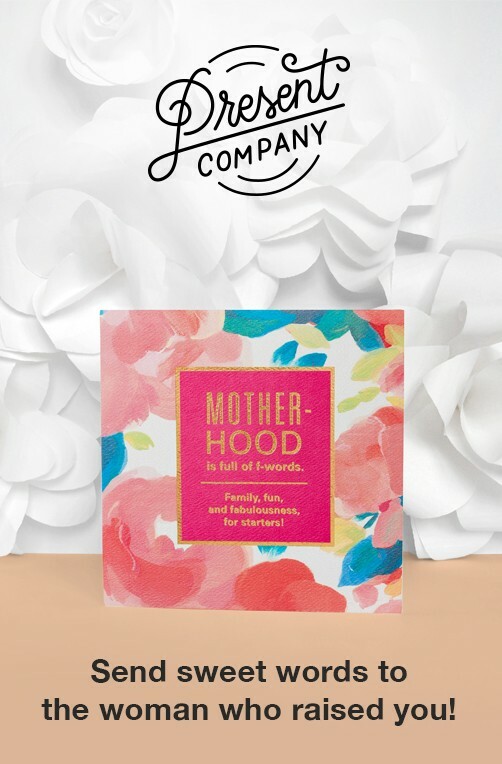 They’re quick to make and don’t take a lot of craft supplies. 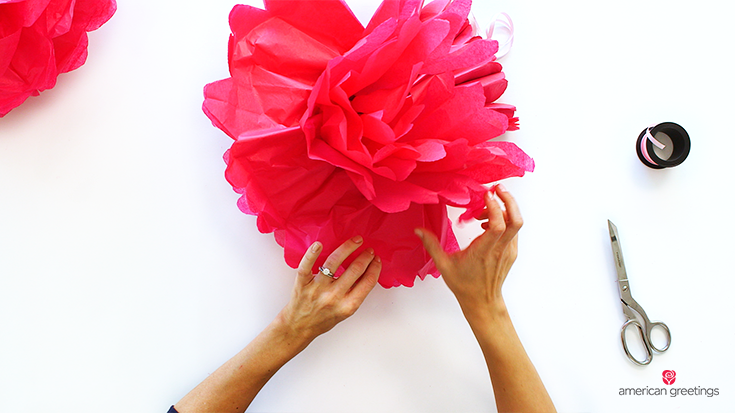 With $5 and 5 minutes, you can create a DIY tissue paper pom-pom that’s perfect for decorating for a birthday party or special occasion. 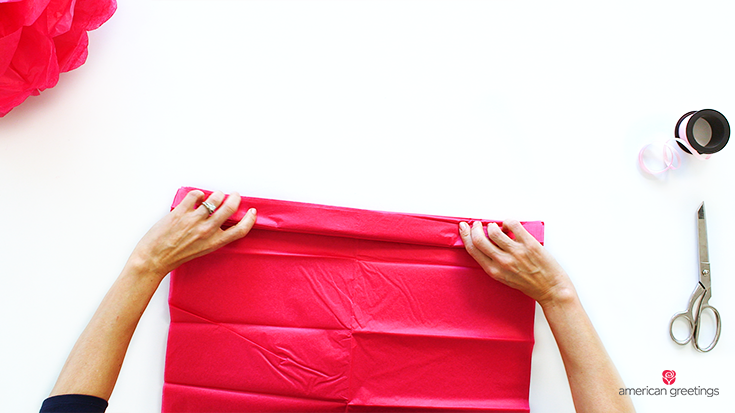 To begin, take out tissue paper and lay it out, smoothing it on a flat surface. 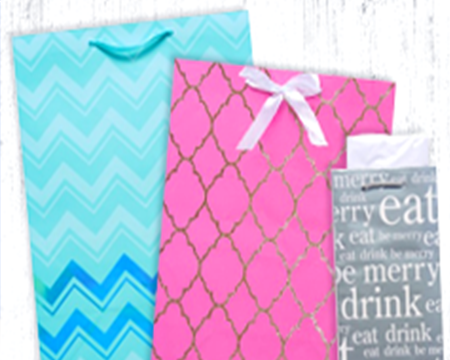 If you’re using two different packages of tissue paper to get the number you need, match up the corners so that they’re all even. 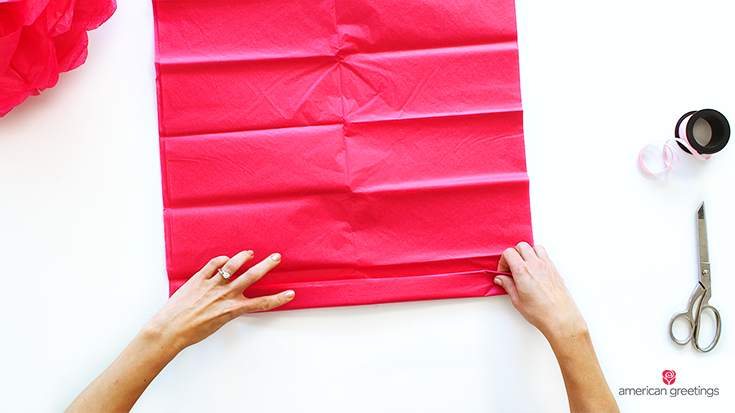 Then, starting with the narrow end, fold about 1″ of the tissue paper and smooth it out. Zigzag it back and forth, flipping it back and forth as you go. 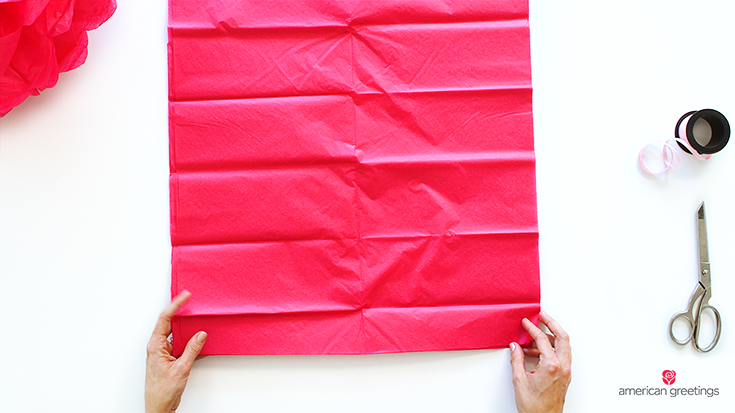 Crease it each time and if you find it feeling a little too full, give it a nice press to smooth things out. 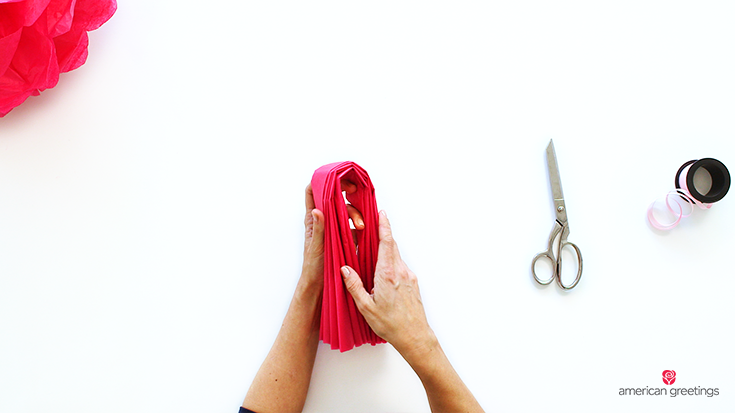 Continue to flip it back and forth, folding it into a neat stack until you reach the end. 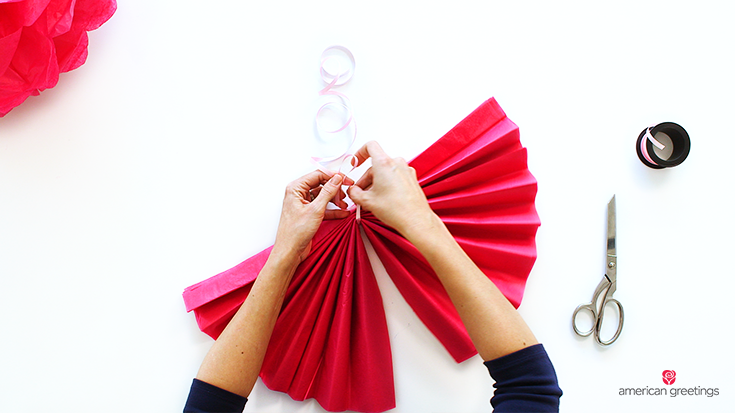 Fold it in half to find the center of the tissue paper and tie it with curling ribbon. 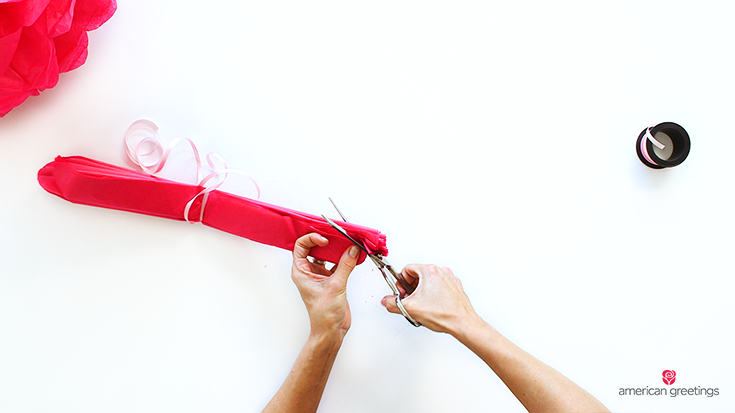 Cut a long length of ribbon so that you can use the ribbon to hang your tissue paper pom pom when it’s time to decorate. 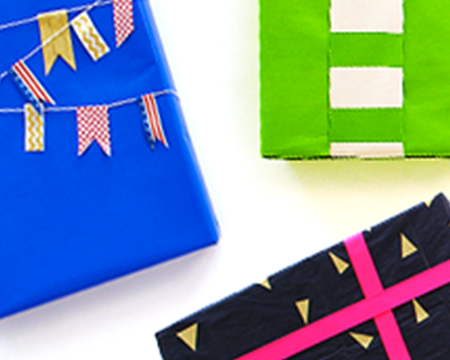 If you find yourself with a funky bit of excess tissue paper, feel free to snip it off so that your last fold is even. 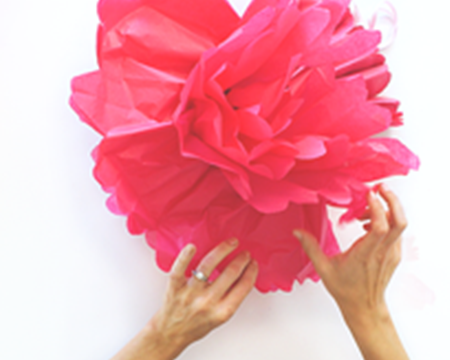 Now, there are a number of ways to cut the ends of your tissue paper pom-pom — you can leave the ends straight, you can cut them into a spike, or any other style you can imagine. 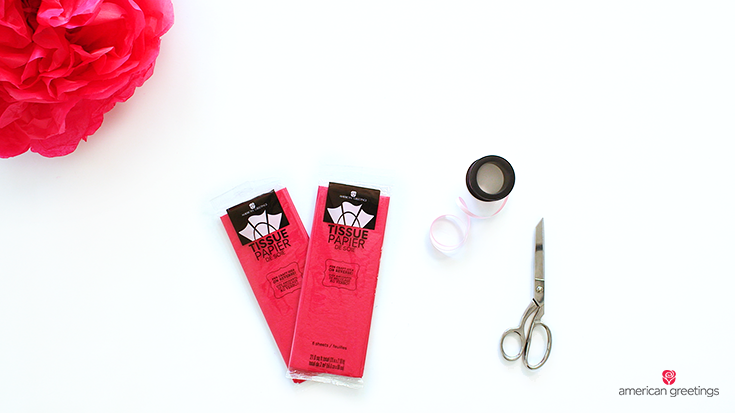 If you want to give it a petal look, cut a rounded shape on each end of the paper. 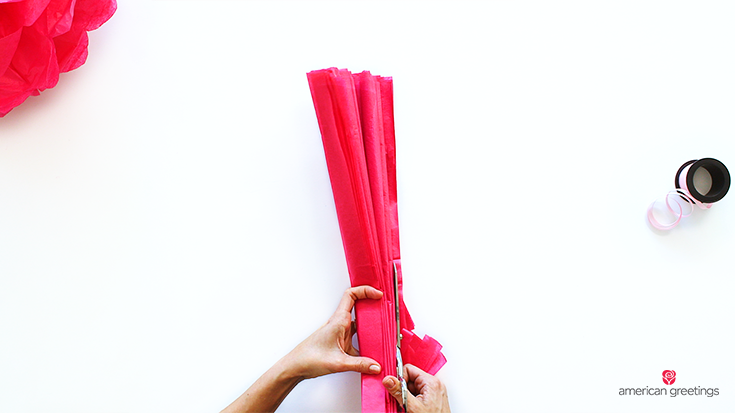 Start down pretty low, making sure you’re cutting through all of the layers of tissue. If you find that you missed some, just trim it off. 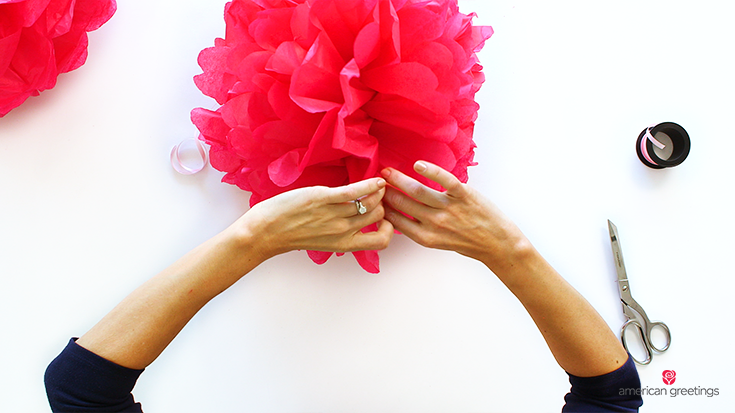 To fluff the pom-pom, lift up and pull each piece of tissue towards the center. 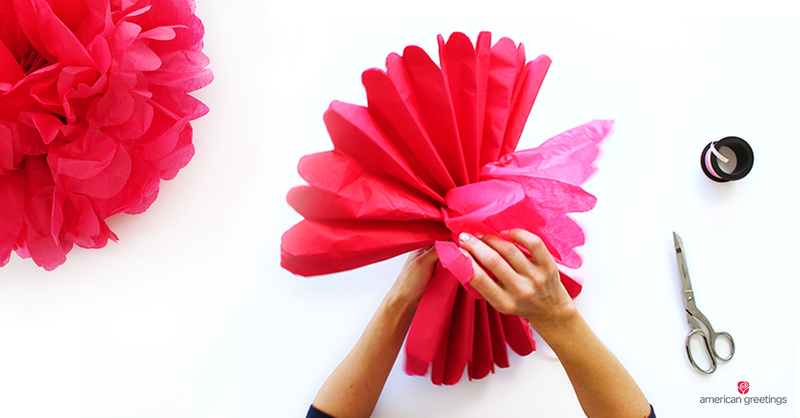 Since you have 10 pieces of tissue paper, pull about 5 to each side. 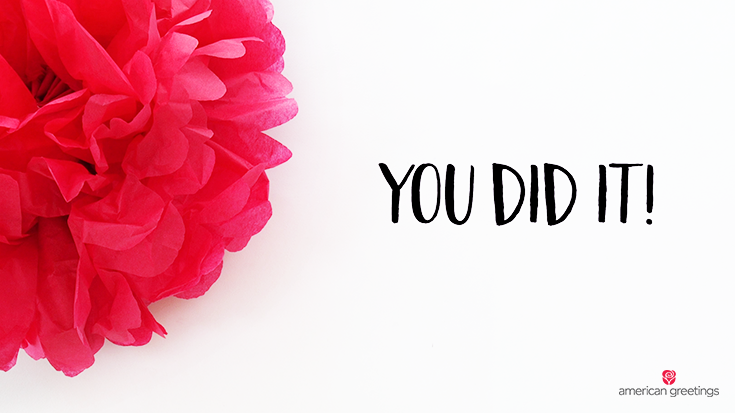 Repeat on the other side of the pom-pom. 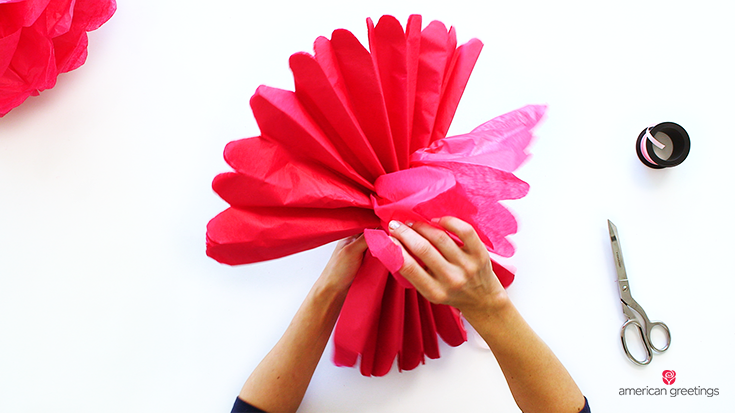 Since these tissue paper pom-poms don’t take a lot of time or cost a lot of money, they’re great decorations for parties and special occasions – they even make a great dorm decoration!